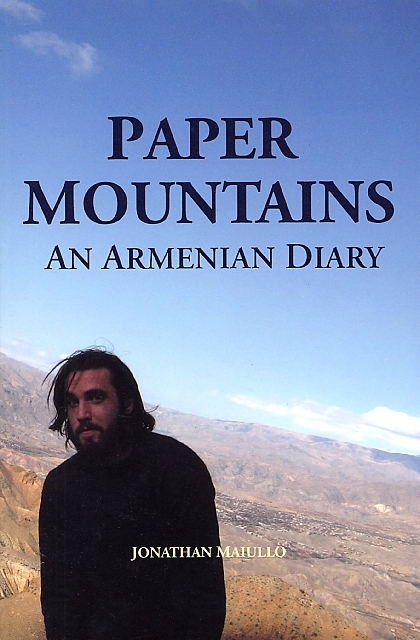 When Jonathan Maiullo landed in Armenia, he had no idea what he was getting himself into. He couldn’t read the alphabet, he didn’t speak the language and he was none too conﬁdent in his ability to teach English as he’d been sent there to do. As Jonathan (or Jon jan) bumbles through lessons about hospitality, tan (carbonated buttermilk) andoghi (homemade fruit brandy) he comes to understand why his benevolent hosts are so ﬁercely proud of their country. This diary offers the unique opportunity to experience a beautiful and culturally impressive country for the ﬁrst time. Jonathan’s long walks carry the reader across mountainous Armenia from alpine Lake Sevan down into the biblical Ararat Plain, from a peaceful religious festival into the turbulent Nagorno-Karabagh conﬂict. Each new insight, each revalation in acculuration is celebrated with the reader in this direct account of life in an unfamiliar place that eventually became home.